One can’t deny the fact that being a YouTuber is a profession, because it takes years of dedication and effort to reach a point where you’re famous in the YouTube world. In fact, YouTubers earn through views on their channel and also create new content every now and then to keep their fans and viewers engaged, much like TV shows these days. Video content creation is a serious business now and India has a great potential when it comes to talent. Keeping this is mind, YuppTV, an Over-The-Top (OTT) provider for Indian content, has launched a new service YuppTV Bazaar to attract independent video content creators in the country to make their videos reach a wide audience. YuppTV connects content creators and broadcasters to reach out to consumers through various channels like television, smartphones, tablets etc. With this move, these entrepreneurs will be able to monetize and market their content through YuppTV Bazaar. The videos to be uploaded will cater to topics ranging from Education, Short Films to Web Series, and Trailers etc. “With the proliferation of unregulated video content on the digital platform, content monetization and visibility is a prime concern for premium video content creators who often find their content being lost in a deluge of casual user-generated content. YuppTV Bazaar is being launched as a solution that will overcome the traditional roadblocks associated with free-for-all video sharing platforms. We are confident that this development will be a major success and will empower content developers with the perfect medium to share and monetize their offerings,” said Uday Reddy, Founder & CEO, YuppTV. Abhishek Bachchan was also present at the launch of the new platform and welcomed the new service to create an outlet for the overflowing talent in the country and give entrepreneurs a chance to showcase their skills and content. In the past we have seen people trying to create videos but not being able to market their content well on the internet and often their videos get lost in the Wikipedia of online content. Interestingly, YuppTV’s competitor, NexGTV launched a near identical service just a day prior to YuppTVBazaar launch. Called SPOTlight, this platform aims at offering exposure and money making opportunities to Video content creators. YuppTV has already shown excellent growth in terms of downloads and popularity amongst the people in India. It has become of the leader of internet based television service providers with channels in Hindi, Telugu, Tamil, Bengali, Marathi, Punjabi and several other regional languages. Its mission is to stream broadcasted videos, live TVs and new movies to consumers without the hassles of a cable television. 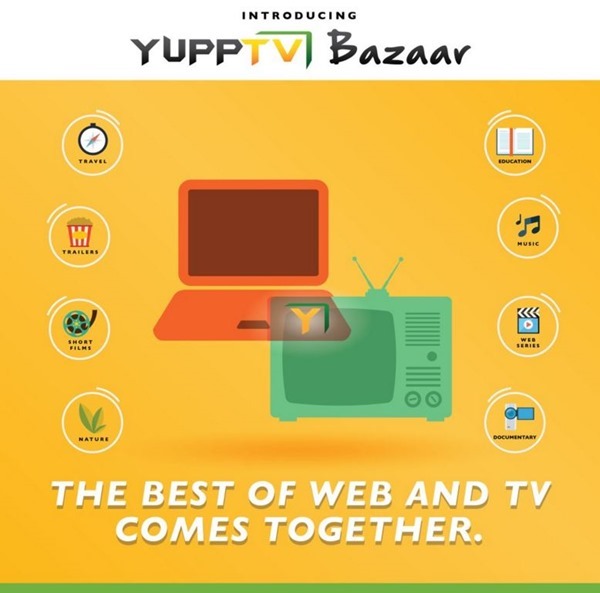 Through YuppTV Bazaar, new and fresh content will be seen on TVs and other multimedia devices which will benefit not only the viewers but also the broadcasters and video content creators. 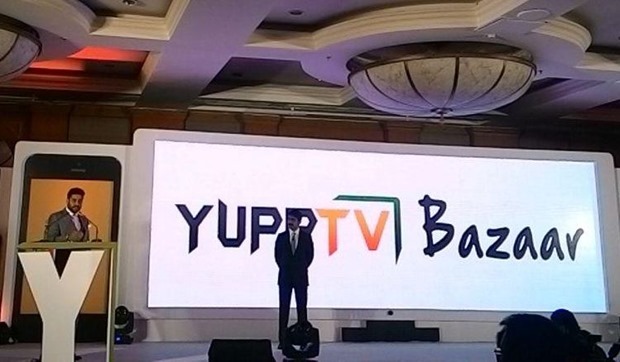 "YuppTV launches YuppTV Bazaar, A Showcase for Budding Video Creators", 5 out of 5 based on 1 ratings.